In the spirit of Valentine’s Day and all of the great weddings we have coming up, we decided it’s time to evaluate the trends this year! 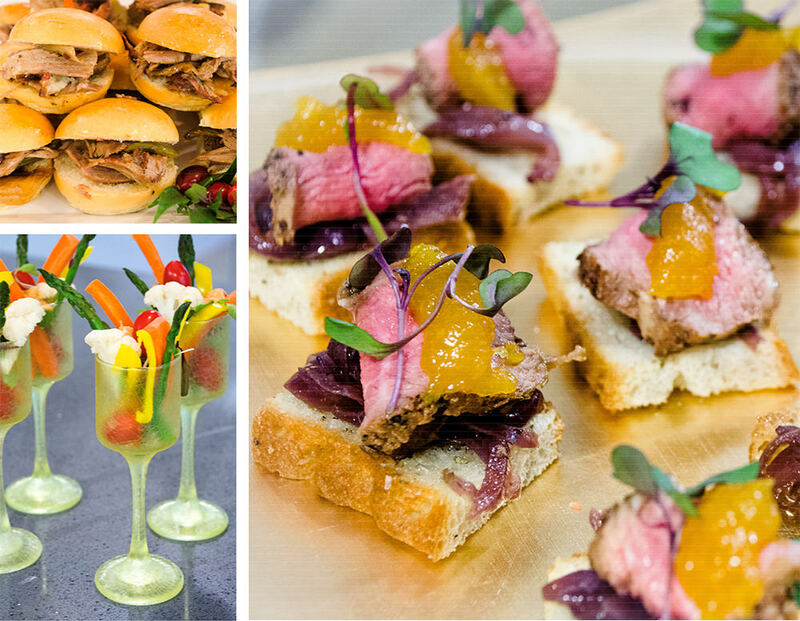 From the ever popular farm-to-table wedding menus to unique cultural trends, we are doing it all at Catering by Seasons. When planning your wedding, it is always best to research! We offer tons of tips online, including our Frequently Asked Wedding Questions, our social media sites, and of course, our blog. Enjoy! With the world being such a melting pot of different cultures and traditions, it is no wonder that couples are looking to share their heritage through food. Wedding couples are looking to showcase what is important to them – the heritage-inspired food that brings them closer to family and loved ones. For some weddings, the food combinations can be quite a stretch, but they are also a lot of fun. These weddings often utilize themed stations. With several different flavors and buffet locations, it is easy to ensure that everyone can find something to enjoy. This is also a great solution for individuals with dietary and religious restrictions. Featured above are four inspired hors d’eouvres – Crab and Pink Grapefruit on Watermelon Radish Slices, New York Potato Kanish Bites, Beet and Butternut Squash Bruschetta with Stilton, and Squid Ink Pasta Forks. 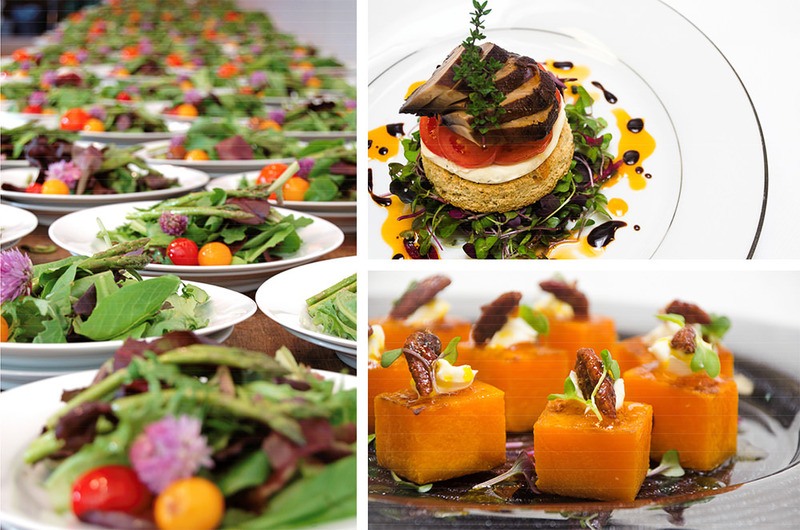 Catering by Seasons offers traditional and intriguing cuisine for just about any culture or dietary requirements. Last year, we catered our very first farm to table wedding. It was clear then that many couples were looking to ‘go green’ with their lifestyle and incorporate sustainable practices into their wedding. We were able to provide fresh, elegant and tasteful food, organically grown by our partners at Open Book Farm. We’ve taken the trend one step further, making the primary focus local, sustainable farming. Now more and more people want to buy locally, whether it is farm shares for day to day living or full service catering for life-changing events. 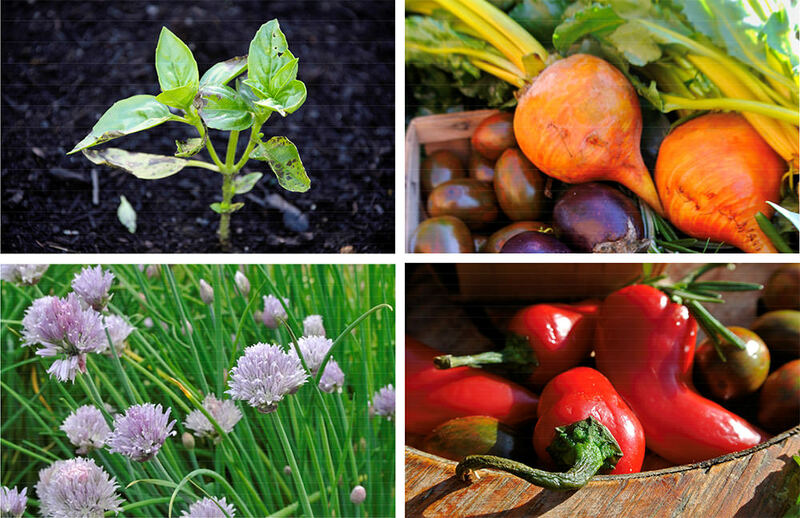 People want sustainable foods from local farms in their own communities. We are proud to be involved in this return to more simplistic ways, providing ethical food free of chemicals. Below are a few vegetarian dishes from our renowned chef, Kyle Vermeulen. The fresh Garden Salad, Portobello Mushroom Salad and Butternut Squash Cubes all contain locally sourced ingredients, perfect for any locally grown farm-to-table feast. Our small plates and hors d’eouvres take on a multitude of different shapes and sizes, including these Miniature Duck Sliders with Cranberry Merlot, Beef Tenderloin Medallions with Smoked Tomato Relish, elegant single serving Crudites, and beyond. Food conscious couples want to offer small, bite-size treats that are fun and exciting. Hors d’eouvres help enliven the reception, sparking conversation and providing a memorable treat. Many clients choose culturally inspired hors d’eouvres and small plates to offer a splash of their unique flavor. 4. 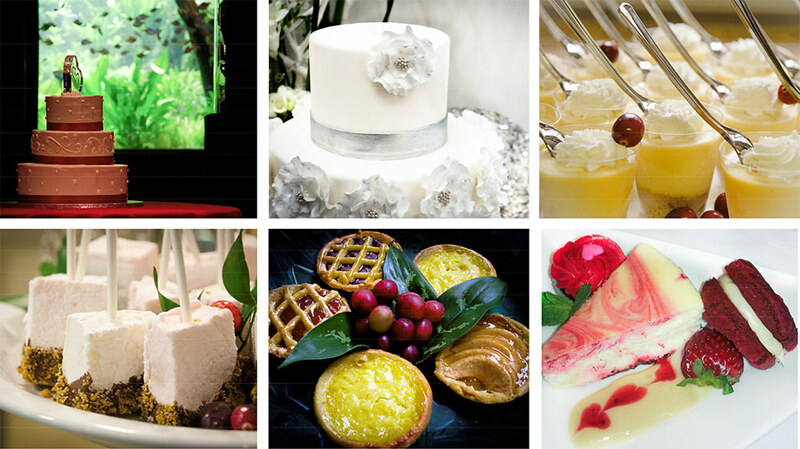 Evolutionary Wedding Desserts – Time to Ditch the Cake? Desserts have come a long way from the original white wedding cakes. Now couples can find completely custom cakes based on their interests and favorite colors, with wild flavors as far out as Red Bean and Sesame or Pumpkin Chocolate Chip. Here at Catering by Seasons, we get requests for all kinds of desserts, but as of recently, more and more couples are looking to ditch the cake. We offer many alternatives to traditional wedding cake, such as our signature Lime Dessert Shots, Housemade Smores on a Stick, Miniature Pies, and our indulgent Red Velvet Dessert Trio. We are excited for new challenges in the evolution of wedding desserts, but we are not quite ready to give up entirely on wedding cakes. To begin planning for your wedding, please fill out our Inquiry Form, or call us at 301.477.3515. We look forward to speaking with you.